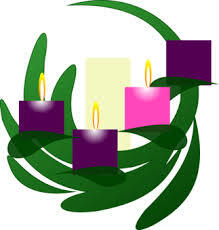 Today’s Advent Reflection comes from Fr. Marc Dunaway, pastor of St. John Orthodox Cathedral in Eagle River. Thank you Fr. Marc! For Orthodox Christians the time of Advent is to be one of preparation that leads to the celebration of Christmas. In the last week before Christmas, however, we at last begin to decorate our Churches and our homes as we prepare to receive our Incarnate King, Jesus Christ, God become man. Still we fast and still we wait for the Great Feast of December 25, but now the approach of Christmas is being signaled in our hymns and prayers. All of this sense of preparation and anticipation is difficult to maintain against the tide of shopping, parties, and all sorts of holiday events. Nevertheless, we try as we can. Still will come the day of celebration, and on that day we will celebrate and remember what Christians have remembered and joyously sung around the world for centuries. Even amidst our shortcomings, it still comes. And what Christians celebrate on that day is the same as it has always been. A Syrian school teacher in Syria and Deacon in the Church, described it in this poem written 1600 hundred years ago. Child of Bethlehem, what contrasts Your embrace! No one has ever been so humble; no one has ever wielded such power. We stand in awe of Your holiness, and yet we are bathed in Your love. And where shall we look for You? You are in high heaven, in the glory of the Godhead. Yet those who searched for You on earth found You in a tiny baby at Mary’s breast. We come in hushed reverence to find You as God, and You welcome us as man. We come unthinkingly to find You as man, and are blinded by the light of Your Godhead. You are the heir to King David’s throne, but You renounced all of his royal splendor. Of all his luxurious bedrooms, You chose a stable. Of all his magnificent beds, You chose a feeding trough. Of all his golden chariots, You chose a donkey. Never was there a King like You! Instead of royal isolation, You made Yourself available to everyone who needed You. Instead of high security, You made Yourself vulnerable to those who hated You. It is we who need You, above anything in the world. You give Yourself to us with such total generosity, that it might almost seem that You need us. There never was a king like this before! This entry was posted in Church Visits Blog and tagged Fr Marc Dunaway, Orthodox, Orthodox Advent, St John Orthodox on December 20, 2018 by Chris Thompson. November 15, most Orthodox Christians began their Advent journey to the Feast of the Nativity. In contrast, Western Christianity begins its Advent journey on December 2 this year. A nativity fast is observed by Orthodox, but is less severe than that of Lent. I’ve asked several pastors in our community to share their reflections about Advent. Fr Vasili Hillhouse, pastor of Holy Transfiguration Greek Orthodox Church, has graciously agreed to take the lead this year with his thoughts about Advent. Who’s voice was heard by the righteous prophets now comes to earth, clothed in flesh. us worthy to receive Him into our heart and celebrate His birth in a manner that is worthy of His Glory. Amen. This entry was posted in Church Visits Blog and tagged Advent, Fr Vasili Hillhouse, Holy Transfiguration Greek Orthodox, Orthodox, Orthodox Advent on November 27, 2018 by Chris Thompson. It’s Greek Festival Time at Holy Transfiguration: Let’s help them pay off their mortgage! Some of you might have concerns about the O’Malley Road construction. “We have been assured that the road will be open completely and that our attendees will not face any increased delays due to the roadwork”, says Fr. Vasili. I’ve come to love and appreciate this fine multicultural group of people over the years I’ve been privileged to worship with them, and attend their festival. I plan to be there this weekend to enjoy tasty Greek food, watch the dancing, and hear Fr. Vasili talk about the church and Greek Orthodox faith, in the church, at various times over the weekend. Friday, August 18th, 11 a.m. – 10 p.m.
Saturday, August 19th, 11 a.m. – 10 p.m.
Sunday, August 20th, 11 a.m. – 8 p.m. This is a kid-friendly event, so if you have them, bring them. They’ll enjoy the kids doing the Greek dancing for sure. 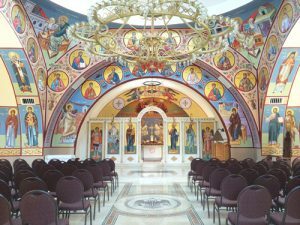 This entry was posted in Church Visits Blog and tagged Alaska Greek Festival, Fr Vasili Hillhouse, Greek Orthodox, Holy Transfiguration Greek Orthodox, Orthodox on August 17, 2017 by Chris Thompson. Eagle River Institute 2017 – Science & Faith is Key Topic – Plan to attend! 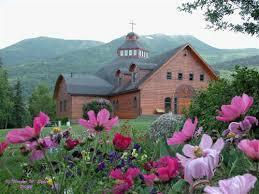 St. John Orthodox Cathedral has announced their Eagle River Institute topic for this year: Orthodoxy and Science. The Institute will be held August 1-5 at St. John Orthodox Cathedral in Eagle River. A pair of highly qualified presenters will conduct four track sessions each, starting at 3:30 p.m. each of the five days, ending at 9:30 p.m. A dinner and vespers break separates each of the two-hour sessions. Peter Bouteneff, PhD, a professor at St. Vladimir’s Orthodox Seminary, will be presenting on “Early Christian Tradition and Genesis 1-3.” Gayle Woloshak, PhD, professor of radiation oncology at Northwestern University and adjunct professor of Religion at Lutheran School of Theology Chicago and at Pittsburgh Theological Seminary. The speakers will alternate between afternoon and evening sessions. For complete information and an detailed brochure use this link: http://stjohnalaska.org/institute.html. As a side-note, I recently discovered that Hank Hanegraaff, president of Christian Research Institute, and known as the Bible Answer Man, recently converted to Orthodoxy. His given reasons for leaving evangelicalism include watching pastors who act more like entrepreneurs focused on branding. Hanegraaff said, “Where the pastor is like an entrepreneur, branding, formulaically getting people into seats — that became troubling to me and I decided I was going to explore,” he said. I’m looking forward to this exploration of science and faith through the eyes of Orthodoxy. It’s worth the small fee. Over the years, I’ve become enjoyed the warm and dedicated spiritual connection this particular Orthodox community offers. This entry was posted in Church Visits Blog and tagged Eagle River Institute, Fr Marc Dunaway, Orthodox, St John Orthodox on July 10, 2017 by Chris Thompson. Advent in the various Orthodox traditions is observed somewhat differently and at different times than Western Christianity. One significant difference is that Advent for Antiochian and Greek Orthodox begins Nov. 15, two weeks earlier than non-Orthodox faiths. Orthodox practice is to begin Advent 40 days before Christmas; this period is called the “Nativity Fast,” and comes before the “Nativity Feast” of Christmas. Another significant difference is that the focus of Orthodox Advent is the incarnation of Jesus, while Western Christianity focuses on the first and second coming of Christ. Also, Orthodox ecclesiastical years begin Sept. 1, while in the West, the religious year for Christians begins at Advent, four Sundays before Christmas. The Nativity Fast is not as strict as the fast of Great Lent and follows the Orthodox principle of fasting to prepare the body physically and spiritually for the coming feast. The practices of fasting include simplifying life, curbing appetite, controlling desires, and intensifying prayer. Thanksgiving comes during this period and I wondered how Orthodox Christians handle it. “During Advent, even though we live and move in a world that has highly commercialized Christmas, we can partake to some degree in the fun activities surrounding the Birth of Christ, while staying Christ-centered through it all,” says Rev. Vasili Hillhouse of Holy Transfiguration Greek Orthodox Church. “We are able to do this,” he continues, “because we willingly adopt certain dietary restrictions as a way of keeping us vigilant and aware of God’s presence at every moment. Echoing those thoughts, the Rev. Mark Dunaway of St. John Orthodox Cathedral says, “The usefulness of Advent depends on your perspective of Christmas. If the aim of a ‘holiday season’ is simply to seek cheer in winter through gift exchanges, office parties, and family gatherings, then Advent really has little place. The holiday celebrations can begin as soon as Thanksgiving is over and end in a party on New Year’s Eve. Nearly all congregations in the Alaska diocese of the Orthodox Church of America (formerly Russian Orthodox) will commence the Nativity Fast on Nov. 28, and end it on Jan. 6, celebrating the Nativity of Christ on Jan. 7 according to Bishop David Mahaffey. “The reason is the Julian Calendar’s timing being 13 days behind the Western/Gregorian Calendar,” he says. Many Christians can learn much from Orthodox practices and observances. For me, it is pleasing to look at this early entry to Advent as an important antidote to the crass commercialism of Christmas. The local community really rallies to provide Thanksgiving meals for those without the ability or financial resources to obtain them. More than 1,000 Alaskans will prepare and distribute turkey and all the fixings to the 10,000 families Karla mentioned at two Thanksgiving Blessing events in Anchorage and the Mat-su region: from 10 a.m. to 4 p.m. Nov. 19, at six locations in the Valley, and at six locations in Anchorage and Eagle River from 3 to 8 p.m. (at most locations) on Nov. 21. The locations for pickup of the turkey and fixins’ are zip code dependent, so recipients should know that first. For the past month, local food distribution programs such as Lutheran Social Services of Alaska, New Hope, St. Francis House, Salvation Army and others, have placed fliers with this information in food boxes they distribute. Call 211 with questions about hours and locations. You can also find detailed information available at the Food Bank of Alaska’s website or my site, Church Visits. This entry was posted in ADN Articles and tagged Advent, Antiochian Orthodox, Bishop David Mahaffey, Eastern Orthodox, Fr Marc Dunaway, Fr Vasili Hillhouse, Greek Orthodox, Holy Transfiguration Greek Orthodox, Orthodox, Orthodox Advent, St John Orthodox on November 12, 2016 by Chris Thompson. As the hearse pulled away from All Saints Episcopal Church Sept. 19, I finally realized I’d no longer be seeing my friend the Rev. Norman Elliott; I’d seen him for the last time. His service was attended by a wide range of friends and family. All Saints Rector David Terwilliger, the Rev. Katherine Hunt of Christ Church Episcopal, the Rev. Susan Halvorson, a Providence Alaska Medical Center chaplain, and Bishop Mark Lattime led the service with Catholic Archbishop Roger L. Schwietz in attendance on the platform. The entire service, which included the Eucharist, was a wondrous blend of music, liturgy and reminiscences. During his homily, Terwilliger talked of Elliott’s passing on the morning of Sept. 9. For this column, he recounted that time to me: “I went into pray the prayers of the Ministration at the Time of Death,” he said. “The title of the rite sounds more solemn than it is in form — at least to my mind. With Halvorson at his side, Terwilliger continued: He “announced to Norm that I was there to ‘pray the Litany’ and Norm motioned with his hand, touched his fingers to his forehead as if to say — I took it to mean — ‘OK, let’s do it. '” During the litany, Terwilliger observed, “Father Elliott became very peaceful, calm and relaxed, which up to that point he had not been; due to coughing and physical discomfort.” Elliott passed within minutes. The Rev. Scott Medlock of St. Patrick’s Parish calls him “a living saint” who, when his son was seriously injured in a plane crash in which another person died, was attended by Elliott on a daily basis. His presence in hospitals will be missed by patients and staff. “When my parents asked him to officiate their wedding, he welcomed them with open arms. At their first meeting, Father Elliott saw the deep love, respect and substance between them, and he blessed their union. My dad always says from that moment on, he knew Father Elliott was a “truly and deeply caring” individual, and they became friends after that. “Father Elliott married my parents 62 years ago, on Oct. 29, 1954 at the little log cabin church, St. Matthew’s Episcopal Church in Fairbanks. They are still married today. Forty years later in August 1994, Dan and I were married at the same church in Fairbanks, with the same wonderful Father Norman Elliott as the priest who blessed our union. Elliott was ecumenical to the core. He treasured his friendship with recently deceased Archbishop Francis Hurley. His story of the two waters, recounted in a previous column, was one symbol of that all-embracing character. The same attitude extended to Russian Orthodox congregations. The Rev. Nicholas-Molodyko Harris, a retired Russian Orthodox (now simply Orthodox) priest, told me of being sent to Anchorage in September 1967 for the purpose of organizing a mission to develop into a parish. That mission ultimately became Saint Innocent Russian Orthodox Cathedral, which was consecrated in 1994. He tells of meeting Elliott in 1967. Having no suitable place to hold their first diocesan assembly in 1968, he asked Elliott if it would be possible to hold it at All Saints. Elliott said, “Of course!” The assembly was presided over by Bishop Theodosius, the Orthodox bishop of Alaska, who later became the Orthodox Church of America’s Metropolitan. Harris and his wife Matushka Anastasia continued their friendship with Elliott during the remainder of his life. Those lines remind me so strongly of the Rev. Norman H.V. Elliott too: friend, husband, father, pastor, and humanitarian. The stories of marriages, funerals, connecting and reconnecting with God, and hospital memories will continue to be shared. There are so many. You will be missed dear friend. This entry was posted in ADN Articles and tagged All Saints Episcopal, Archbishop Hurley, Congregation Beth Sholom, Episcopal, Fr Norman Elliott, Fr Scott Medlock, Jewish, Orthodox, St Patricks Parish on September 30, 2016 by Chris Thompson. Does worship’s relevance trump reverence? My earliest experiences of church worship, as a child, impressed upon me that something special was happening. People sat quietly, mostly without talking, awaiting the start of the service. Out of sight, the elders, in a circle, prayed God would bless this worship. An organ softly played hymns to prepare the congregation for worship. Finally, the strains of “Holy, Holy, Holy” were rendered by the choir, while the congregation bowed heads in prayer and the elders quietly took their places on the podium, kneeling in reverence with a brief invocation for God to unite with our service of worship. My family, and most other members of that church, dressed in our best clothing in honor of our God and king. While I’m not Orthodox, as a Christian I also believe in many of the same things Orthodox adherents do and respect them for their beliefs. Reverence, daily worship, spiritual songs, and prayers in the home are part of the life they live in the Orthodox faith, and these extend into their worship services. During the past decade or two, I’ve noticed a trend away from reverence in many churches, houses of worship, even in some of the Protestant churches I thought would never accept this type of change. In many evangelical and Protestant churches, as I enter the worship sanctuary, a din of noisy talking, laughing and people bouncing from one to another prevails; this may last 10-15 minutes before services. As services begin in many contemporary churches, they often do so with a wall of music where people are, for the most part, told (not asked), to stand. The music often is a show or display of raw musical talent with sound levels from 95-120 decibels. This can continue for half an hour or more until one or more persons from the ministerial team make their appearance, often to warm up the crowd with announcements, offerings and more music. Finally, a sermon is delivered, replete with altar call in many evangelical churches. Only once, in my many years of visiting churches here, have I heard a church address the issue of congregational behavior, particularly that of maintaining reverence. Otherwise, I’ve never heard a single pastor talk about the purpose of worship, with the exception of an exceptional experience of “slow Mass” taught by the Rev. Leo Walsh, formerly of St. Benedict’s Parish. During a two-and-a-half-hour midweek service last fall, Walsh described what happens in a church from the moment the narthex (entryway) is entered. While not a regular service, he underscored the Catholic practice of the Eucharistic Mass being the focus of their belief. Walsh’s talk gave the 35 or so attendees a historical perspective on every aspect of a Catholic Mass. It’s too bad other churches, regardless of denomination, don’t follow this practice; I found it most educational. The purpose of worship is to glorify God. Over the two millennia since the founding of Christianity this has been done by communion or Eucharist (Acts 20:7), prayers to God (1 Corinthians 14:15–16), singing songs to God’s glory (Ephesians 5:19), collecting offerings (1 Corinthians 16:2), reading Scripture (Colossians 4:16), and proclaiming the word of God (Acts 20:7). Many of my visits to Assembly churches have shown me this standard is not always upheld. Despite similar statements from many denominations, their adherents rarely seem to have been taught its significance. Christ cleansed the temple twice before he was crucified. He clearly said, “My house shall be called a house of prayer.” I’m afraid many Christian faith bodies have succumbed to giving their constituents what they want instead of what God commands. The account of Moses and the burning bush tells of God instructing Moses to remove his shoes because the ground on which he stood was “holy ground.” This was a lesson by God to Moses of reverence. Despite the casual way in which worship is often practiced today, all Christians might reconsider, in every way, what reverence in worship really means. Are we dressed to meet God? Are our songs really praising God? Are our prayers from the heart? Do our offerings represent our truest gifts to God? Have we taken the message (or sermon or homily) to heart? Do we understand and apply the partaking of communion or Eucharist? The heart of these practices could well bear fruit in enhanced reverence. This entry was posted in ADN Articles and tagged Orthodox, reverence on August 26, 2016 by Chris Thompson. Each summer since 1995, St. John Orthodox Cathedral has conducted the “Eagle River Institute of Orthodox Christian Studies” which draws extraordinary Orthodox clergy and scholars to Alaska to speak on a variety of Orthodox topics. I’ve enjoyed attending these seminars for several years. They’ve provided me, as a scholar and historian, with a better historical and theological understanding of Christianity in general, and the ancient Orthodox faith more specifically. A busy schedule this year only allowed me to attend the Thursday sessions, and Friday’s final question-and-answer session. The sessions I attended would have been of interest to a broad range of individuals exploring current religious issues. This year’s presenters were a pair of scholars and professors from Fordham University. Aristotle Papanikolaou is the Archbishop Demetrios Chair in Orthodox Theology and Culture, and co-director of the Orthodox Christian Studies Center at Fordham. George Demacopoulos is the Father John Meyendorff & Patterson Family Chair of Orthodox Christian Studies, and shares co-directorship of the Orthodox Christian Studies Center with Aristotle. The title of their presentations was “Orthodoxy and Culture: Past, Present, and Future.” Demacopoulos dug into Byzantine Christianity, asceticism and monasticism, tradition without fundamentalism, and war and violence in early and Byzantine Christianity. Papanikolaou explored the purposes of religion and Orthodoxy, spiritual practices, Christian secularism, war, violence and virtue. Eagle River Institute is always held at the beginning of August, a two-week fasting period preparing for the Celebration of the Transfiguration of Christ (last week), and the Dormition of the Theotokos, falling asleep of Mary (this week). At dinner breaks, spare cuisine in line with Orthodox fasting practices was served — a great introduction to a key Orthodox belief. Orthodoxy is more rigorous with schedules of fasting than any other Christian religion I’ve observed. Feasts such as these are preceded by fasts. Demacopoulos, in his session on “War and Violence in the Early Church,” noted the Orthodox church has been ambivalent about war and violence over its 2,000-year history. Prior to the conversion of Constantine (approximately in 313) it tended toward nonviolence but became more accepting of war and violence. Killing during war required canonical penance — often with 20 or more years transpiring before Eucharist was allowed to be taken. According to St. Ambrose, a 4th century bishop of Milan, clerics must not be involved in armed combat, but as the Roman empire had become Christianized, it had duties to uphold with regard to maintaining the empire and the inhabitants thereof. Telly, as Aristotle Papanikolaou is known, addressed “War, Violence, and Virtue” in his session. He alluded to St. Maximus and his “Peace of Virtue.” Maximus (580-662) wrote and taught extensively. Well known for his work, “400 Chapters on Love,” he had a profound effect on the post-Byzantine empire. Papanikolaou noted Maximus said “self-love and self-loathing” get in the way of virtue. Saying there is no “just war” theory in Orthodox, he further noted that the effects of violence on the poor were tragic. The question and answer session was dominated by war and violence questions. Several participants talked about growing up with violence in the family, child trauma, war experiences, addictions, or post-traumatic stress disorder. Both speakers noted the church can offer victims of trauma community, hope and therapy choices. Both speakers urged the practice of asceticism: Self-denial for the sake of the kingdom. They say it equals faith formation. Typical Orthodox aesthetic practices are prayer, fasting, and repentance. They said our entire life should be one of faith formation. The war and violence and question and answer sessions had a deep impact on those present. These sessions were a blessing to me. Though I’m not Orthodox, I’ve come to love and appreciate this fine community of Christians who daily show that their ancient traditions have relevance for life here and now. Due to global connectivity, we are now privy to the toll war and violence inflicts on individuals. Orthodox faith has some great answers. Previous ERI speaker presentations are available and this year’s audio presentations will be posted shortly at ancientfaith.com/podcasts/everydaytheology. Holy Transfiguration Greek Orthodox Church holds its annual Alaska Greek Festival Aug. 19-21. Find more at akgreekfestival.com. This wonderful festival is used to raise money to build and maintain their beautiful new church. The Rev. Vasili Hillhouse will give daily tours and explanations of their faith, iconography, and worship meanings, and there will be food, wine and dancing for all who attend. This entry was posted in ADN Articles and tagged Holy Transfiguration Greek Orthodox, Orthodox, St John Orthodox on August 13, 2016 by Chris Thompson.